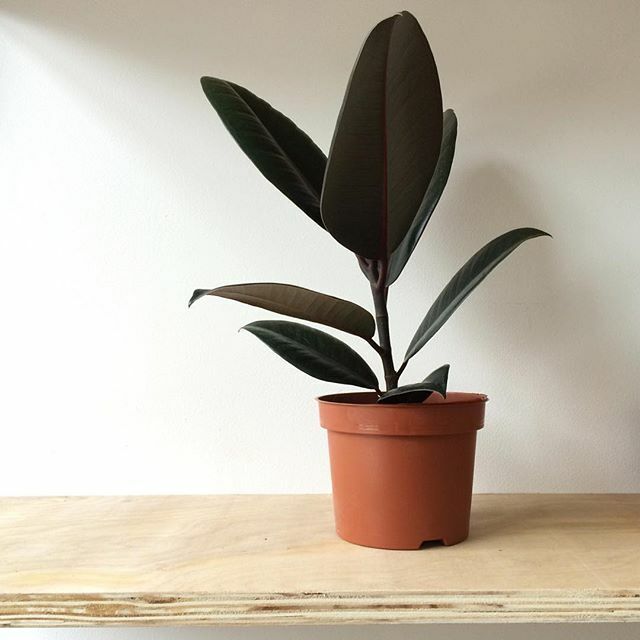 Whenever we get new plants in at the shop, we take one home so that we can learn, first hand, how to care for it (all of the plants in this guide are on sale or have been for sale at the Alfie's Studio shop and online - check them out here). 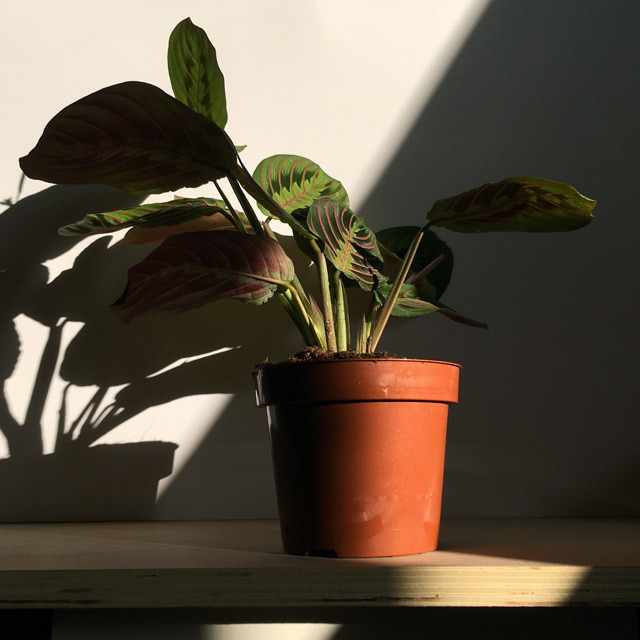 The following guides have been created from these learnings (and knowledge we've picked up along the way), with the aim of making plant keeping a little less intimidating and taking the guess work out of looking after your plants. We cover what the plant can do for your air quality, where it will thrive, the kind of light it likes and any other notes of interest. Does best when grown on pieces of rough bark or tree fern. Like temperatures up to 24˚C so long as high humidity. 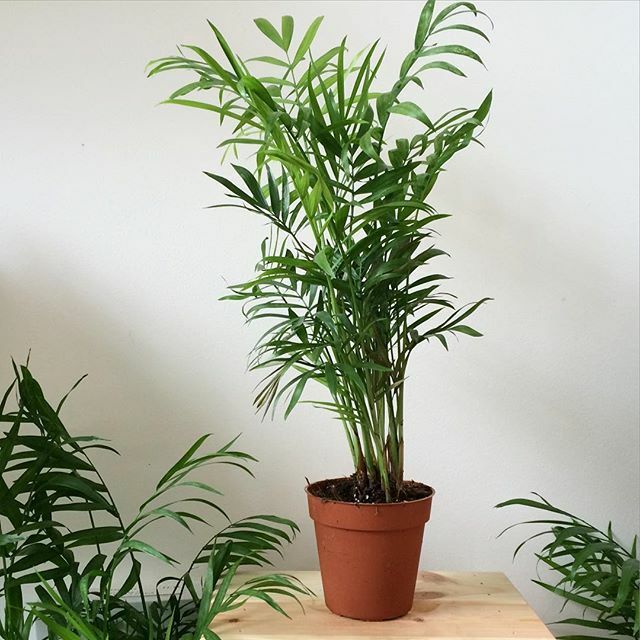 Thrive in bright light, however, strong direct sunlight will fade colour and possibly mark leaves. Epiphytic rainforest ferns. Shield-shaped frond at base clasps plant support – will become brown and papery over time and new green one forms in its place. Should be mist-sprayed daily in warm rooms. Airy, well-ventilated situations preferable. Watering in spring and summer should moist potting mixture but allow to dry before watering again. Water sparingly other times. Best to submerge root into water rather than trying to water from above. Feed only mature plants twice in active season. General air cleansing. Photosynthesis continues overnight with succulents and cacti and so continues air cleansing! Average to dry room humidity. Likes temperatures of 21-27˚C, 13-17˚C in winter. Allow the soil to dry out between waterings. Water frequently over spring / summer and cut back over winter. This will be more tolerant of under watering than being kept moist as there is a big risk of rot. 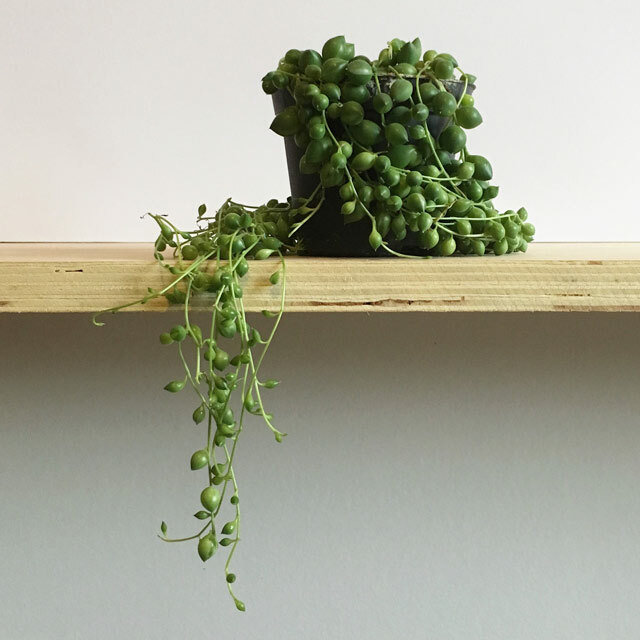 When the “beads” look shrivelled, it needs watering. Can be pruned back if it is getting too long. Don’t be afraid to keep it to a desirable length, trimmings can be inserted into soil to make a bulkier plant or new plants. Removal of benzene and toluene. Allow the soil to dry out a little between waterings, but not fully. Likes moist air, set on top of a tray of wet pebbles or in amongst other plants and mist daily with room temperature water. The “leaves” can drop (they look like small pine needles) if they become scorched in the sun or the plant dries out, prune back damaged parts and make room for new growth. Initially bushy, the mature plant will climb and produce more tendril like stems. Anywhere of a moderate temperature. Moderate watering in summer and occasional watering in winter. 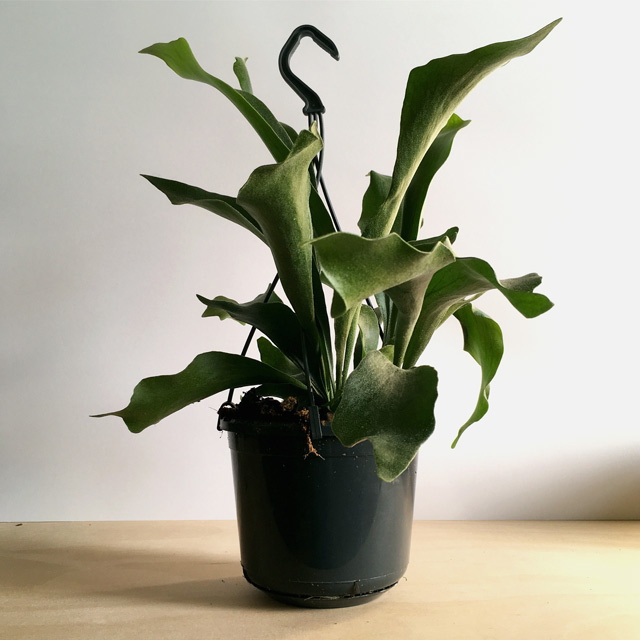 An easy to keep plant that will survive some neglect. Split pup plants off from the parent in spring and pot them up directly, they will root within a few weeks. Warm environments with lots of light. Sunny south facing window sills. 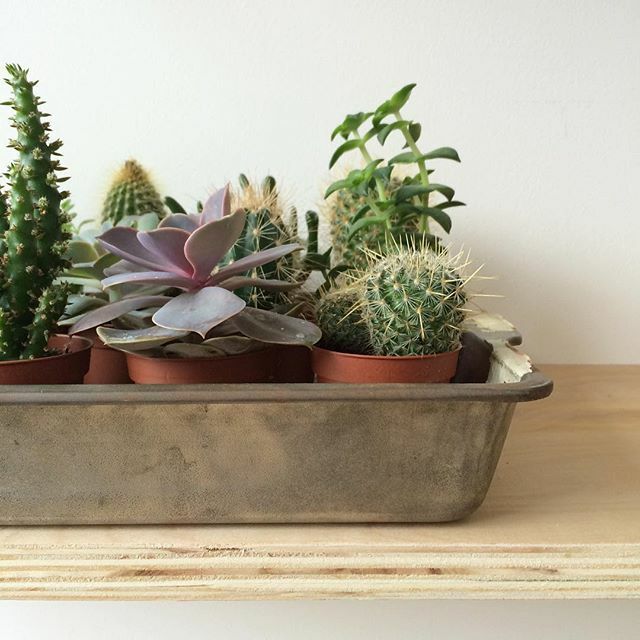 Interesting fact - all cacti are succulents, but not all succulents are cacti. Water sparingly from spring to autumn, allowing the soil to dry between waterings. Water very sparingly / allow to dry during winter. 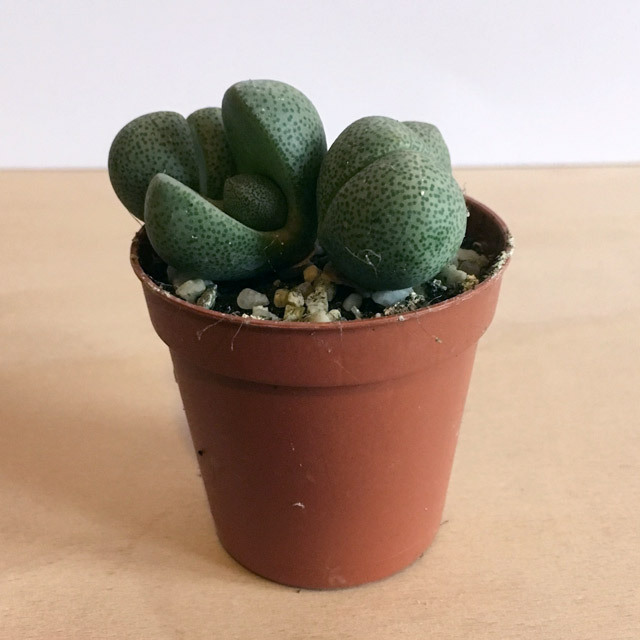 Should reside in a free draining compost/grit mix with a thin layer of gravel on the surface to keep the bases of cacti dry and prevent from rotting. Ideally, containers should be shallow but large (as roots are wide-spreading), with a good drainage layer in the base. Good if you have air conditioning, as it can help to humidify your home. 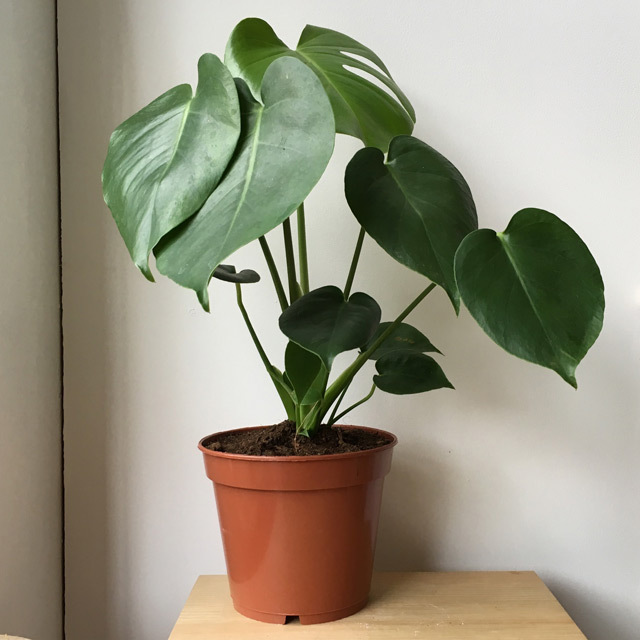 Like other Philodendrons, can remove formaldehyde. Bright filtered light best but can be placed in direct sunlight in winter. In inadequately lit positions, leafstalks become extended and leaves smaller and less divided. Water sparingly and allow to dry before watering again. Feed fortnightly only during growing period. Repot in spring and top-dress annually once maximum pot size reached. Train arterial roots to moss poles if used, if not, train into soil. Can grow very large – 10-15 feet tall and 6-8 feet across. Anywhere bright of a moderate temperature. Allow soil surface to dry between waterings. The more bright indirect light the more color you will have in both the leaves and flowers. 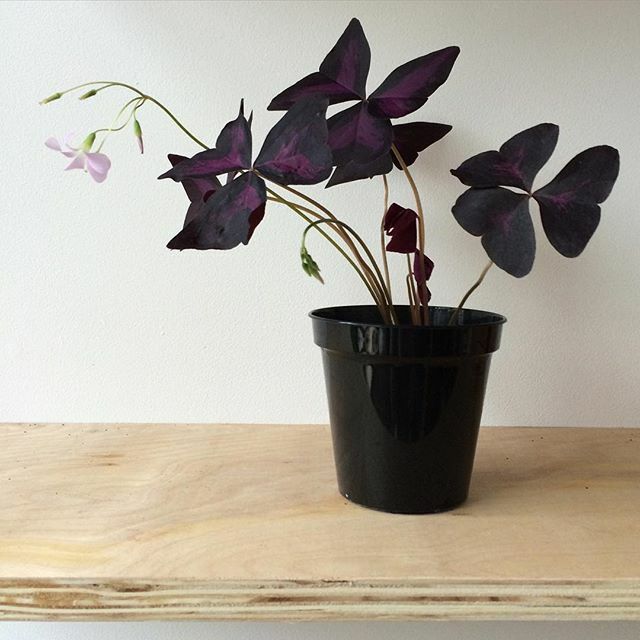 Don’t write your Oxalis off if it looks a little bit under the weather, it is simply entering a dormancy period. The leaves will stop opening in daylight and it’ll look like it’s lacking in vitality. If the foliage looks a bit withered, let it die back and gently cut back on the watering, stopping completely after a while. Don’t water or feed during this time. After two to four weeks a new growing season will begin at which point you can resume watering and expect to see new growth. Bathrooms / kitchens / warm living areas. Likes temperatures of 18-24˚C. Allow the soil to dry out between waterings. This will be more tolerant of under watering than being kept moist as there is a risk of root rot. Can be pruned back if it is getting too long. 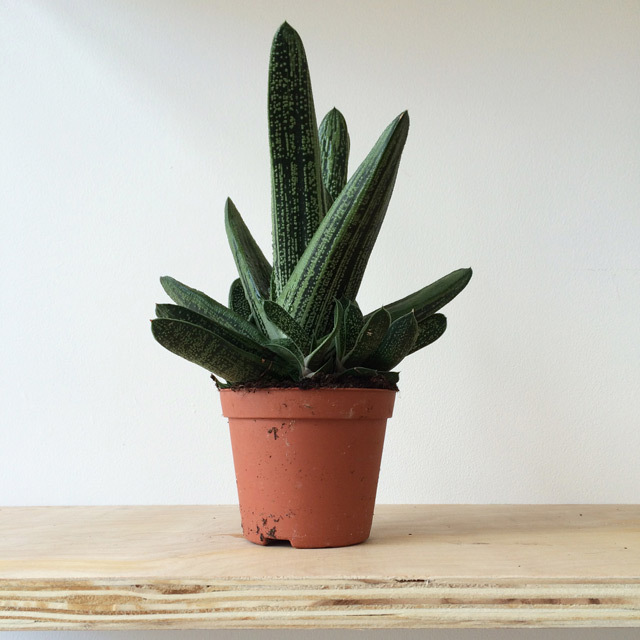 This plant can reach a fair length (over a metre) so don’t be afraid to keep it to a desirable length. Long spaces between leaves mean it isn’t getting enough light. A brighter position will give the leaves a more purple hue. Removal of benzene, formaldehyde, ammonia, trichloroethylene, xylene and toluene. Bathrooms - likes humid atmosphere. Hallways with diffused light. Happy in areas other than the bathroom but as it is chiefly found in tropical America, be kind by misting every now and then. Thrives in temperatures of 23° to 26° in summer and no less than 18° in winter. You are more likely to over water than under water this plant. If in doubt, let it droop a little before watering. Less water needed in winter. Cut any brown/dead leaves off with sharp scissors. Thought to be effective in removing formaldehyde and benzene. Ideal temperature is 18-21˚C, if greater than 18˚C increase humidity. 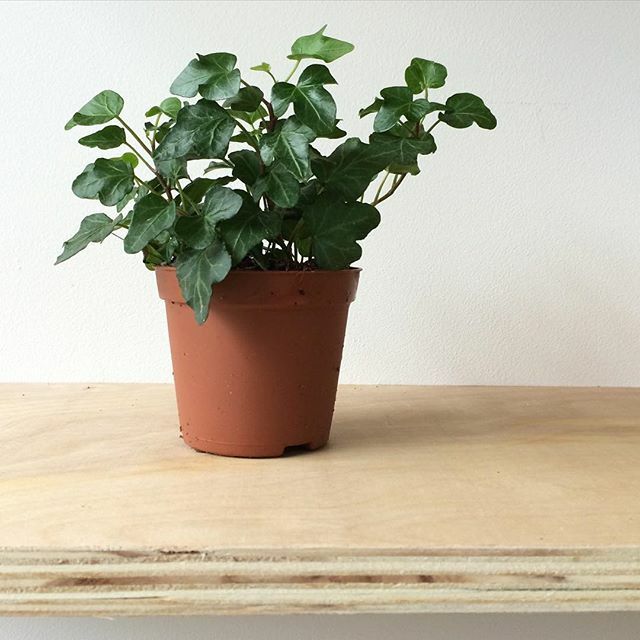 Should be grown in medium light – strong sunshine fades leaves and dries edges. So called as it folds leaves up and raises stems overnight. Prefer shallow pans or half pots. Spraying with rainwater will avoid lime deposit marking on leaves. Will not grow in less than 12˚C. Water plentifully to keep soil moist during active growth period. During winter water sparingly, allowing soil top half to dry out between waterings. Feed fortnightly during growth season. Repot in spring. Kitchens and bathrooms - like humid atmosphere. Most places - just be sure to water weekly. Indirect sunlight and moderate temperatures. Tillandsia need very little care. If the heating is cranked up in your home it’d be good to give them a little misting every now and then to stop them from drying out, otherwise, weekly watering should suffice. 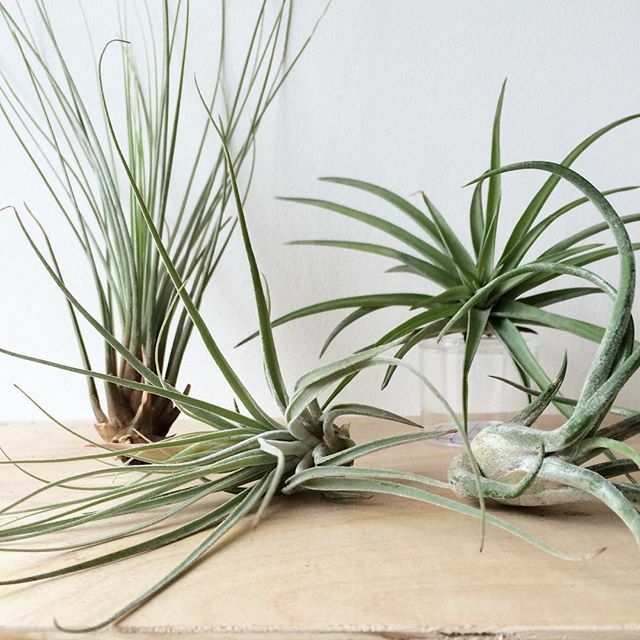 Feed monthly for your air plant to thrive. No pot needed - they take in water and nutrients through their leaves. If your air plant lives in a terrarium pop the plant in a bowl of water for a few hours to soak up what it needs to avoid water staining the glass with misting, allow it to dry before placing back in terrarium to avoid root rot. Removal of formaldehyde, xylene and toluene. Most spaces in an averagely heated home. Brown leaf tips? Could be a case of hard water, dry air or lack of watering, brown / yellow leaves = too cold. 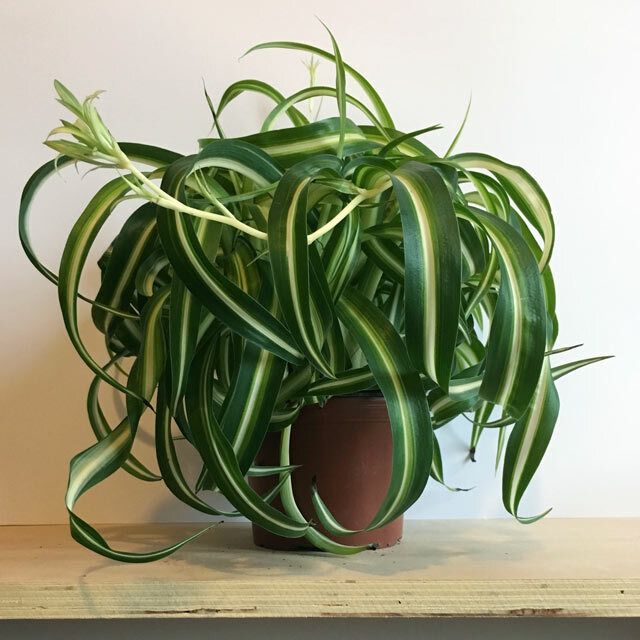 The spider plant can grow quickly and to quite a size. Repot it in spring and during the growing season. The varigated variety needs good light levels to maintain its colouring, the single colour variety is more shade tolerant. Peg “baby” plants onto soil and they will root, when rooted they can be cut off the “parent” plant and will fend for themselves. Water well in summer, sparingly in winter. Bathrooms - likes humid atmosphere. Living areas - mist to maintain humidity. 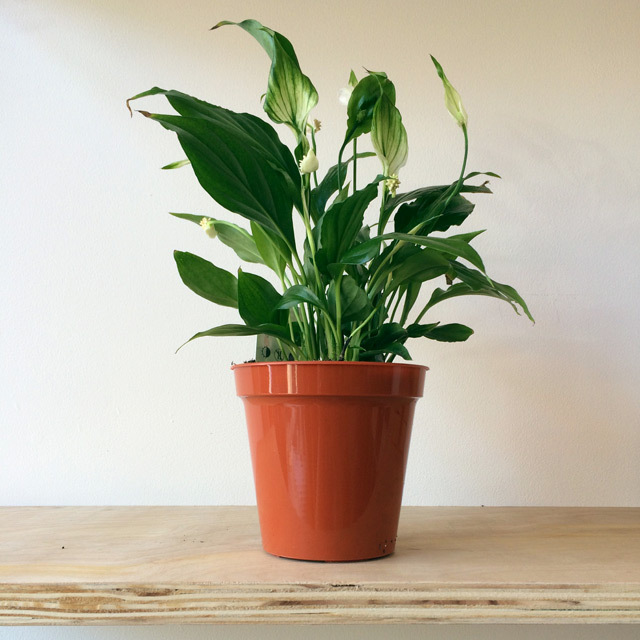 In centrally heated areas this plant will need watering every three to four days. Use tepid water to keep this one happy. Yellowing lower leaves? Could mean a plant that is cold, overwatered or it happens with age. Falling leaves without discolouring? Needs more light or has been overwatered. Ficus Elastica was one of the first sources of rubber which is now obtained from Hevea brasilensis. Removal of benzene, formaldehyde, trichloroethylene, xylene and toluene. Hallways - happy in cooler areas of the home. Indirect sunlight / partial shade. Happy in cool conditions. Enjoys a nice bit of fresh air when the temeperatures are above 21°, so if you can, open a window every now and then and let its leaves blow in the breeze. Spritz with a mister from time to time during summer. It is native to England so think breezy and a bit damp at times and you won’t go far wrong. Great for clearing airborne mold and an allergy sufferers best friend! General air cleansing. Photosynthesis continues overnight and so continues air cleansing! Normal room temperatures, can tolerate temperatures down to freezing but should not be subjected to less than 10˚C. 3 – 4 hours direct sunlight all year round. Water sparingly from late spring until flower dies in autumn and let dry out between waterings. Do not water between autumn and spring until new leaves are produced. No feeding required. Only repot when start to crowd – about every 3 – 4 years. Bathrooms - likes humid atmosphere. Living areas - Mist frequently above 21˚C. 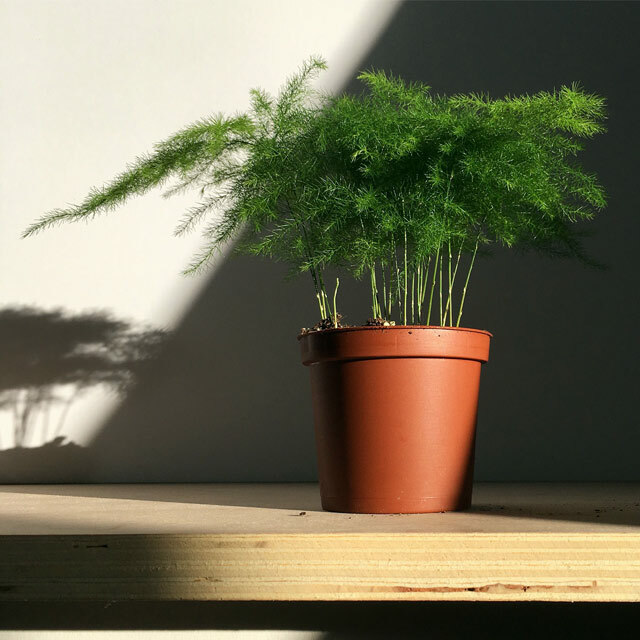 Bright - young plants need to be lightly shaded. Water normally in spring / summer, sparingly in winter. Stand outdoors in warm summer showers if possible, prefers to be watered with soft water. Brown leaf tips? Could be alkaline water or dry air. Yellowing leaves can be a result of too much light. Repot young plants every spring, older ones every 2 – 3 years or only when really potbound (again in spring). Bathrooms - They will be happy in normal room humidity, but prefer warm and damp places like bathrooms (please note, if kept in a damp atmosphere, water less frequently). Bright - Avoid direct sunlight and provide a brightly lit setting. It will also tolerate low lighting conditions. During spring and summer give it a thorough watering until water seeps through the bottom of the container and allow the soil to stay slightly moist. Remove excess water from the tray under the container to prevent root rot. During winter water much less without soaking the soil. 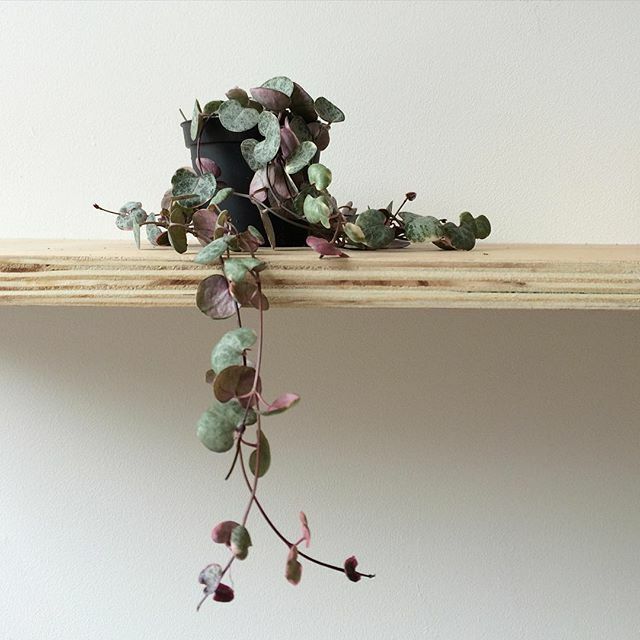 Re-Potting: The creeping fig does like to be pot bound to a certain degree, however, it likes to spread it's roots just like it does outdoors and in it's natural habitat. It will be happier if it is re-pot around every two years during spring (at the same time as pruning). To keep it small, during repotting cut it’s roots back which are outside the main root section. If you're increasing the pot size and want it to grow larger, do not cut back roots.